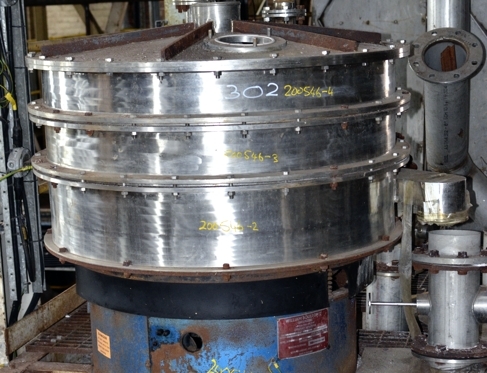 Used William Boulton 48 " (1220mm) diameter 2 deck stainless steel Vibro Energy Gyratory screen sifter. 2 h.p. (1.5kW) 1500 rpm, 415 V 50 Hz motor.